Michael J. Sanderson is a cinematographer and drone operator whose work can be seen in Planet Earth 2 episode #3, “Jungles”. For BBC Planet Earth II‘s episode, Michael traveled for weeks in the wild of the Guatemalan rainforests, with a minimal crew and quite a lot of equipment, to shoot monkeys. Challenged by spiders, aggressive red ants and torrential rain storms, he also explored the Brazilian jungle to film the Araguaia river dolphins – a a newly discovered species living in the Amazon River. BBC’s nature series “Planet Earth II” is a landmark in documentary filmmaking. Planet Earth II is also the first 4K television show in BBC’s history. Technology played a key part in the production of the series: Planet Earth II was shot using 4K cameras, the latest camera stabilization systems, remote recording and drones, all cutting-edge technologies that were unavailable when the first series – the original Planet Earth – was shot back to 2006. Michael J. Sanderson used a few of these technologies, including drones, when filming for Planet Earth II. The 33 yr old British-Dutch filmmaker runs the Netherlands-based production company Ateles Films with Ana Luísa Santos. They focus on wildlife, natural history and environmental topics for cinema, television, and web for international markets. 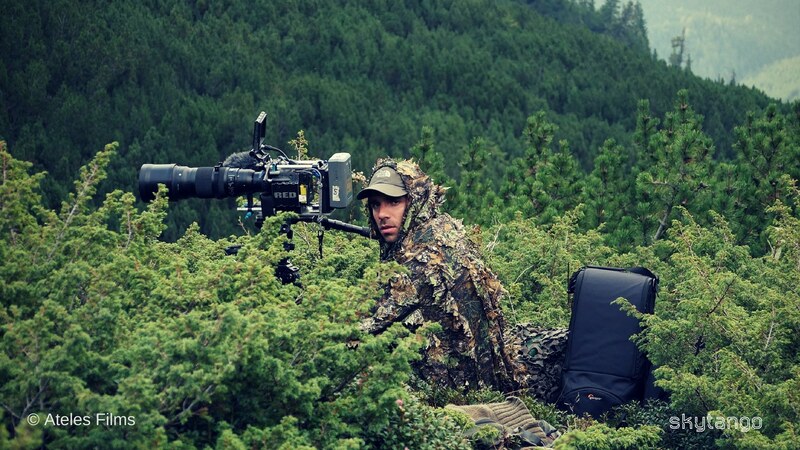 Michael has experience filming aerials, macro, long lenses and high speed and in all the phases of production, and has filmed in over 50 countries, including Spain, Netherlands, Guatemala, Morocco, Brazil, Mongolia, Burkina Faso, Bolivia, Belarus, France, Portugal etc. He is a pioneer in drone cinematography, having built and filmed at professional levels with his own drones since 2008. 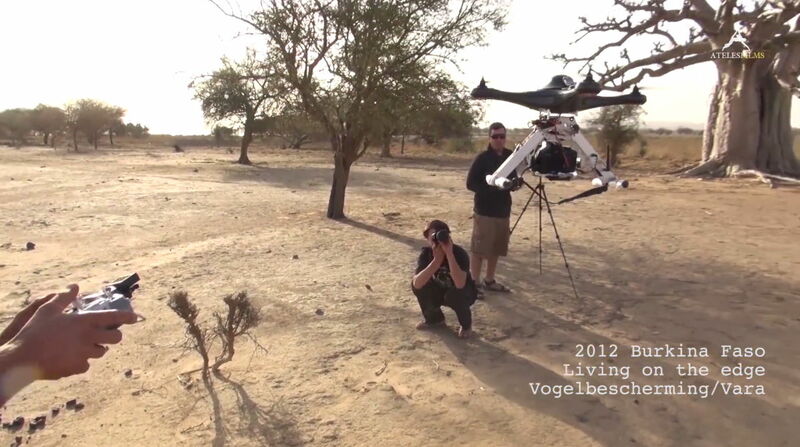 In addition to this, he is also one of the world’s top wildlife filmmakers, and we are honored to host him on Skytango! In our interview, Michael talks about the drones and the gear he used in filming for Planet Earth II “Jungles”, the technical and logistic challenges of flying drones in wild environments, his approach to filming wildlife and more. It’s really an interesting interview and I’m sure you will get a lot from it – even if you have no immediate plans to go canopy tree climbing to film monkeys in the jungle! Could you please tell me about your background and your company? What do you like most about being a wildlife filmmaker? When and why did you start using drones in your filming? Which episodes and sequences of Planet Earth II did you contribute to, and did you use drones in all of them? How big was the team filming in the field for your episodes and sequences of Planet Earth II, and who did what? What drones do you use? Do you build them or do you use commercial models? What drone equipment did you use to shoot in Planet Earth II? What is your favourite camera to fly? What camera, in particular, did you use during the filming of Planet Earth II to get those spectacular shots? What camera settings did you use most for filming in Planet Earth II? Apart from drones, did you use other innovative filming technologies like miniaturized cameras or remotely operated cameras in the shooting of your sequences in Planet Earth II? Did you experience any technical issues with the drones and ancillary equipment due to the environment? How do you deal with technical fixes when you are in the jungle or other remote places? What equipment do you bring with you to be able to fix problems? Do you operate the drone and camera by yourself or do you work with partners? What were the top challenges of drone filming in Planet Earth II? Did you have a specific shot list at a location or was it more opportunistic? Did you run into any regulatory problems in any of the countries where you filmed? You travel a lot. What are your best tips for traveling with drones? 1. Hi Michael, welcome to Skytango! Could you please tell me about your background and your company? My background has always been in filmmaking. When I was 12, I was already using cameras and making short videos, but then using clunky VHS decks to edit. At the age of 19, I worked out that I wanted to point my cameras to wildlife and nature. At the time, I was already doing a bachelor of science in Media Technology. During this course, I got down to electronics level and learned the technical side of things. Something that would prove essential later on when building drones for example. Today I run Ateles Films together with my partner Ana Luisa. Together we produce, shoot and edit wildlife films for various channels including, National Geographic, NHK Japan, and BBC. 2. What does Ateles mean? 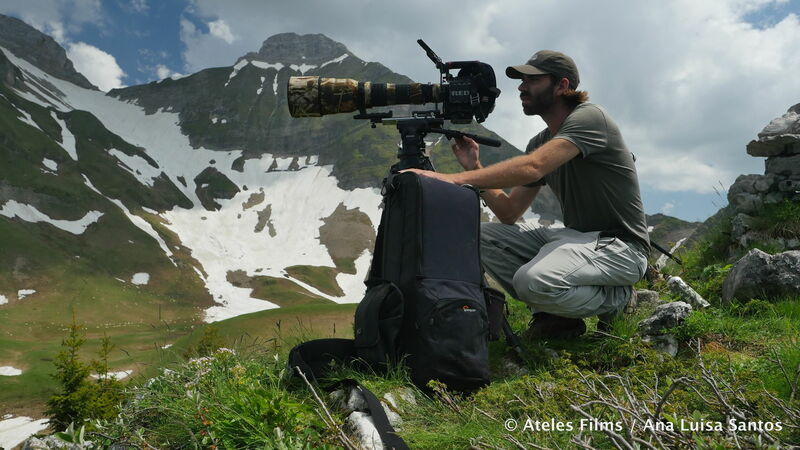 Ateles Films is inspired by the spider monkey of the genus Ateles, which can be found in the tropical forest of Central and South America, from southern Mexico to Brazil. I chose Ateles as the name of my company because I spent years filming Spider Monkeys in Guatemala, and this new world monkey is an animal that I really like. As a nice surprise, now we have a film coming out on NatGeo about the same animal. Also, for Planet Earth 2, I filmed the same species of Ateles. The logo of our company is actually from the rushes of our NatGeo film. 3. What do you like most about being a wildlife filmmaker? I think the payoff of having this job is in the encounters you have with wildlife. When all goes well, you are in a position to experience something that nobody has ever seen before. Sometimes, I am amazed at what I am filming and during the shot I know it and I just need to keep my cool to make sure I don’t switch off the camera to celebrate too soon. So I think it is the special moments, and then after you can watch it over and over again and show it to the world. 4. When and why did you start using drones in your filming? I started building drones back in 2008 for a film I was making in Chernobyl. I really wanted to fly a multirotor through Pripyat, the ghost city. I wanted to fly through the broken windows. Drones were in their infancy and it was very complicated to get good flight time and any steady shots. Imagine taping your camera to the drone without a gimbal. Gimbals were static. Today we are spoilt. Back then it was a slog to get any decent shots. But we did eventually. 5. Which episodes and sequences of Planet Earth II did you contribute to, and did you use drones in all of them? 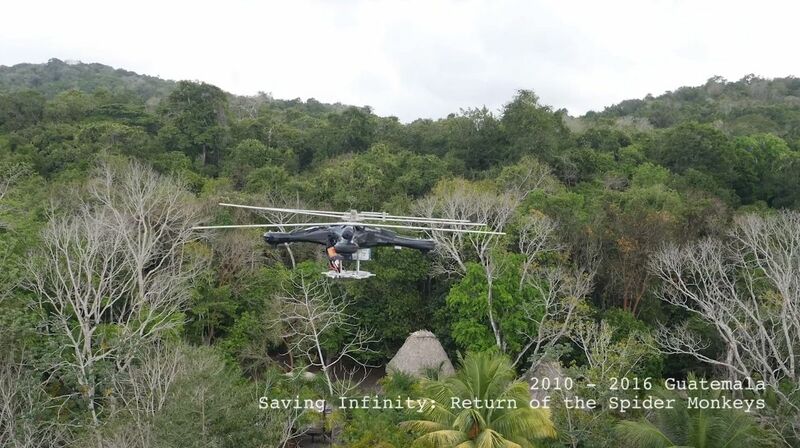 I filmed the spider monkey sequence and the aerials for the river dolphins, both in the “Jungles” episode. I mainly flew the drone over the dolphins. I got some stunning shots and behavior of this new species. 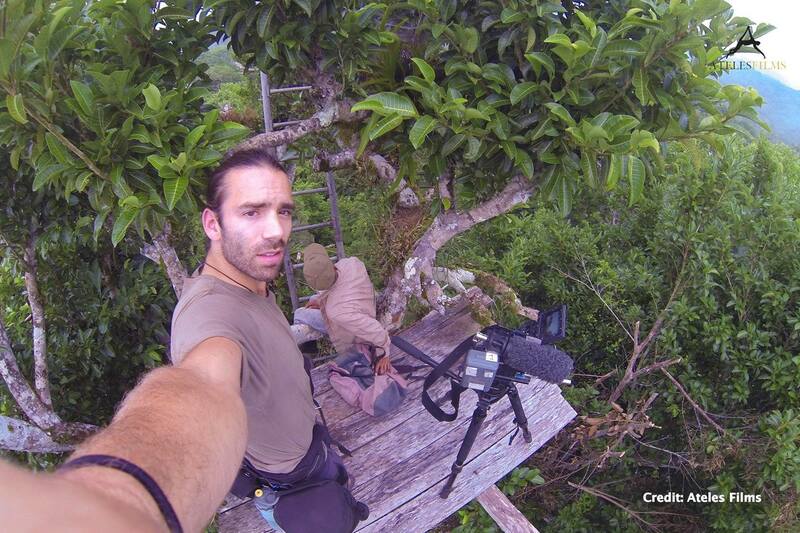 I did do some shots over the monkeys but mainly I was suspended in the tree to film with long lenses. Also stunning. It was a great surprise when BBC decided to show me and my drone in the “Making of” aka “Diaries” for the same episode. 6. How big was the team filming in the field for your episodes and sequences of Planet Earth II, and who did what? We had 3 or 4 people. In the trees, I had a safety rope access guy. For the drones, I mainly piloted the drone into position and sometimes an assistant panned or tilted the camera under my orders. Often though I flew without a camera operator. This is the way I usually fly and film from the sky. 7. What drones do you use? Do you build them or do you use commercial models? I build my own drones. Various shapes and sizes depending on each job. Sometimes I build completely new drones for a particular job which is exactly what happened for Planet Earth 2. In this case, I also built a backup version. 8. What drone equipment did you use to shoot in Planet Earth II? For Planet Earth II, I used a GH4, with DJI gimbal and a self-built drone, based on DJI flight controllers. My drone also had a few setting or functions that I can’t reveal and it is that that made it special. 9. What is your favourite camera to fly? As high quality as possible, which is not always possible. 10. What camera, in particular, did you use during the filming of Planet Earth II to get those spectacular shots? For all filming apart from the drone, I used Red cameras. 11. What camera settings did you use most for filming in Planet Earth II? The main setting was slow motion. The rest differed in each situation. 12. Apart from drones, did you use other innovative filming technologies like miniaturized cameras or remotely operated cameras? Next to drones, I also used handheld gimbals, which acted like Steadicams. 13. Did you experience any technical issues with the drones and ancillary equipment due to the environment? I had some issues during the dolphin shoot and had to re-solder an entire HDMI cable for example. Also after the storm, (that is in the ‘making-of’ as well), I had to fix some parts and replace some ESC’s (Electronic Speed Controllers) for example. 14. How do you deal with technical fixes when you are in the jungle or other remote places? What equipment do you bring with you to be able to fix problems? I always took spares for everything and a soldering iron. 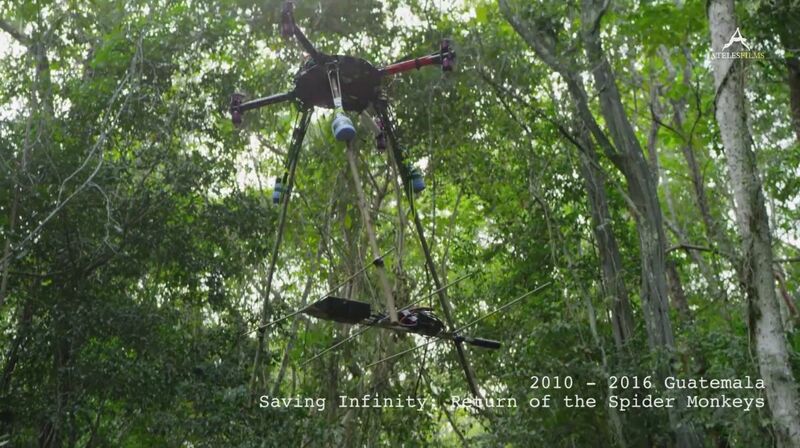 Because I build my drones, it’s not always I can find available the spares pieces, especially in the jungle. 15. Do you operate the drone and camera by yourself or do you work with partners? 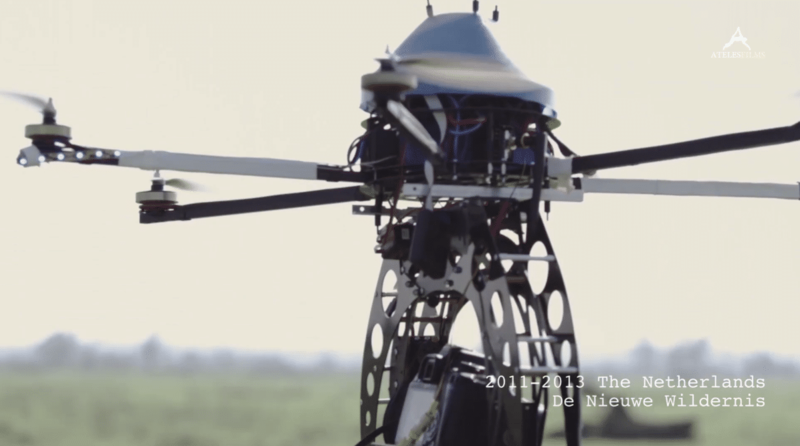 The use of drones depends on the production and which kind of shot we need. I always prefer to operate my drone alone. Other times, I also like to have an assistant helping me with the camera, but always direct them and the shot, as happened during Planet Earth II. 16. What were the top challenges of drone filming in Planet Earth II? 17. Did you have a specific shot list at a location or was it more opportunistic? Both. But we always tried to follow the script. Usually, nature doesn’t allow itself to be scripted though. 18. Did you run into any regulatory problems in any of the countries you filmed? 19. You travel a lot. What are your best tips for traveling with drones? Always tape up the terminals of the lipos (batteries) and protect them well!